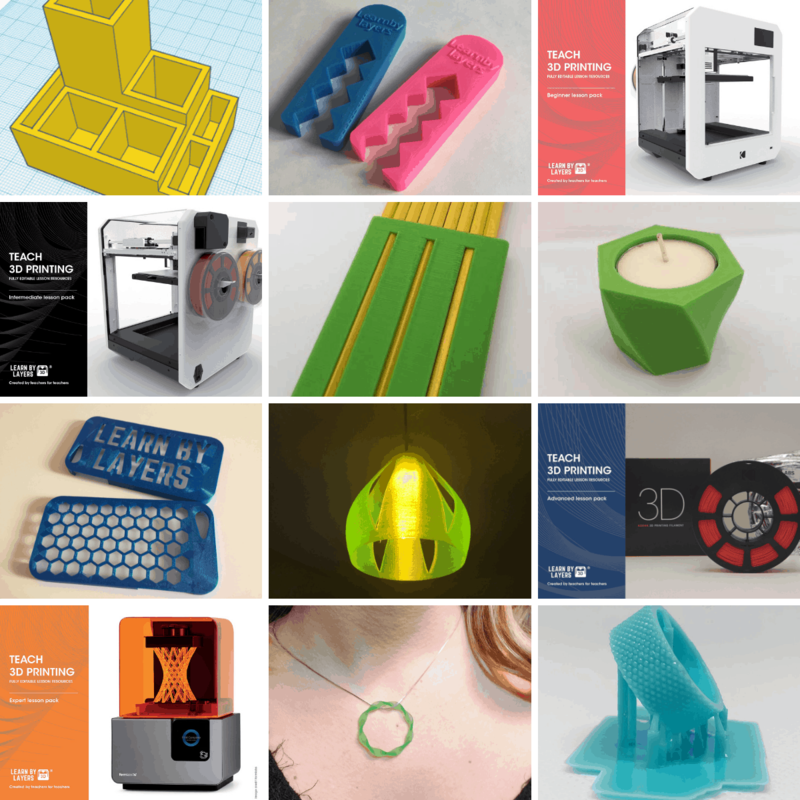 3D printing challenges for students. Fully planned lesson resources. 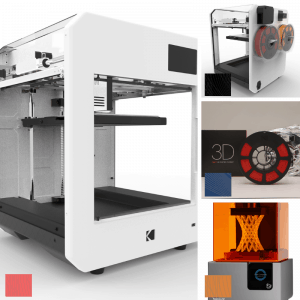 What’s the best 3D printing challenge for students? Starting out with 3D printing is a big step for any classroom teacher. 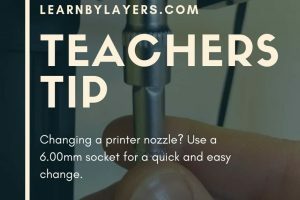 Once you have decided on the 3D printer, you then have to consider what you are going to teach your classes. To use a 3D printer effectively in the classroom you need to provide learning challenges that will stimulate and engage students. Simply showing them the technology is not enough, they need to get their hands dirty with the CAD side of things. The ability to create models using CAD software is where the real challenge lies and teaching this requires a sound knowledge of software. Learnbylayers aims to tackle this issue by providing a fully planned curriculum that has been tried and tested in the classroom. The curriculum is split into two parts, the filament curriculum that is made up of three lesson packs and the resin curriculum that comprises of the expert lesson pack. Each one is centred around a series of 3D printing challenges for students that will develop their design skills so they can become confident in designing for 3D printing. In the beginners course, the challenges are based around learning to use TinkerCAD software and the basics of 3D modelling. There are 5 challenges in this pack that focus on how to design usable products. The first teaches students how to design a basic box and lid. It sounds simple and only uses two features to model, but to ensure that the lid fits accurately as a push fit into the body of the box is no easy feat. As well as CAD modelling, one of the main focuses of the curriculum is teaching students how to model design accurately and to scale. This is a common theme is every lesson pack. 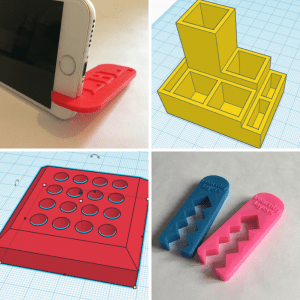 Some more of the challenges include, designing and 3D printing a smartphone keyring stand, a food clip to keep open bags of food closed, a desk tidy and a customised key ring. This lesson pack is commonly taught to students ages 10 – 12. It could be used for younger and slightly older students depending on ability. Challengers for intermediate learners focus on the use of parametric modelling skills using Fusion 360. The main difference between TinkerCAD and Fusion 360 is the ability to sketch and edit unique profiles and then make them 3D. With TinkerCAD you can only model with pre-made shapes from a given digital pallet. With our intermediate level resources we provide a series of challenges to students to build their confidence using the software. The design challenges include basic sketching exercises and learning how to edit sketches before making them into 3D models. Then once this has been learnt students are given tasks to complete ranging from ‘cable tidies, pencil caddies, candle holders, fidget spinners and screw driver blocks’. All of these challenges will require students to measure the products that are integral to them e.g. measure the bearings for the fidget spinner, measure the candle etc. Once students have completed the basics of parametric modelling and built on these skills they need to apply and extend their learning. We have a series of tried and tested challenges for students that will push them out of their comfort zone. 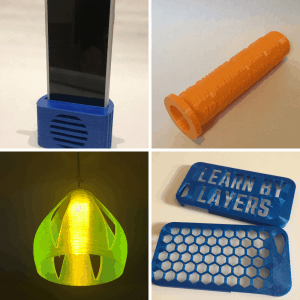 In the Advanced lesson pack there are 6 design challenges such as 3D printing a customised smart phone case and personalised bicycle handle grips, designing lighting features, storage devices and smart phone docks. All of the challenges allow students to customise and build on the given examples and in most cases it is expected that students will have the skills to work independently if they have completed the previous challenges. With tasks of this nature we advise that these should be aimed at older students who have some experience with designing models and 3D printing. 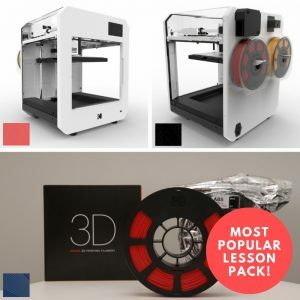 If you are teaching students aged 16 and older then our expert lesson resources will deliver a series of challenges that will truly push your students skills into the 3D printing stratosphere. 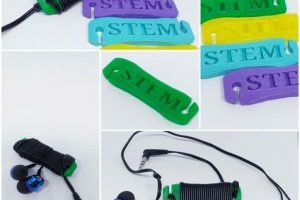 These are aimed at schools and colleges that have resin 3D printers. 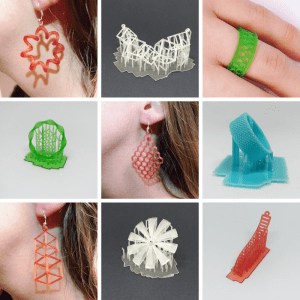 The content in these lessons is all based around designing small jewellery pieces that are quick and easy to 3D print. The skills developed include modelling to very small tolerances and accuracy is the key. Students will complete 12 design challenges where they create rings, necklaces and ear rings. 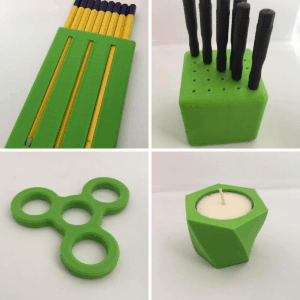 The concept behind this series of lessons teaches students how to design for resin 3D printing, which has very different design parameters to filament based 3D printing. Also at the end of the module students get to wear their designs that have completed. 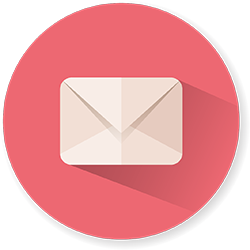 If you would like to ask us any questions about the curriculum then use the contact form below to send us a message.